A comfortable and fully equipped studio apartment - designed for up to 2 people. Arranged in a modern way, with lightness and class, which will make each guest feel at home here. The apartment includes: a comfortable seating area with a kitchenette, a sleeping area with a double bed and a bathroom with a toilet and a shower. 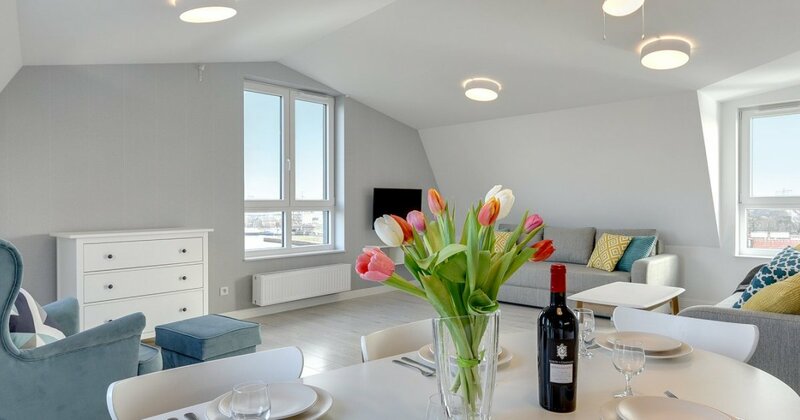 The view from the windows on the Motława River and the historic architecture of Gdańsk is a decisive advantage of the apartment.